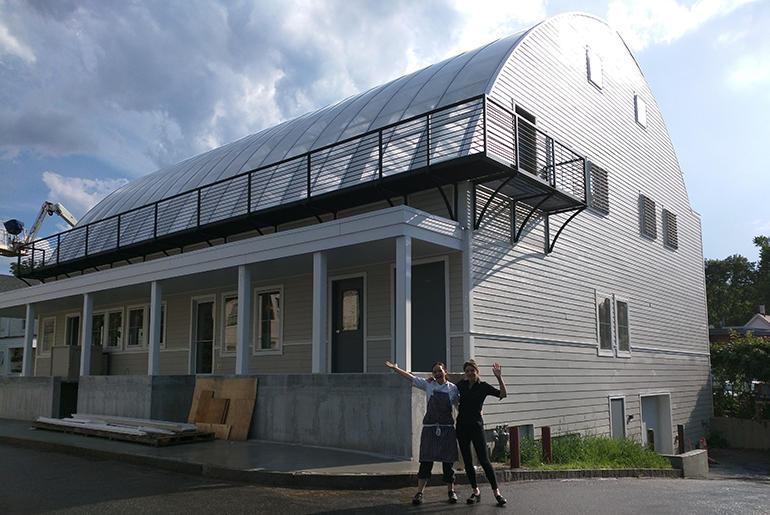 Cara Stadler (right) and project director Kate Holcomb are building a two-story aquaponic greenhouse to serve the group’s three restaurants. Chef Cara Stadler is taking the chefs-who-garden concept to a brave new level — one that could be bigger, greener and have a greater impact. Stadler’s soon-to-be-open Canopy Farm, an aquaponic greenhouse in a 55-foot-by-60-foot two-story building next to her Tao Yuan Restaurant, will raise rainbow trout and grow crops like microgreens, choi and hard-to-get fresh herbs. It will supply Stadler’s three restaurants, reduce the company’s transportation costs and waste. A community project, the farm will operate in partnership with local schools to increase access to education programs. Once the greenhouse is up in early September, Stadler intends to create a database so others can figure out how to do this themselves. 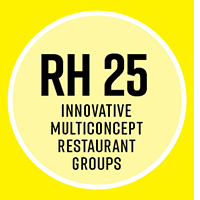 2018 RH 25: Front Burner Restaurants L.P.